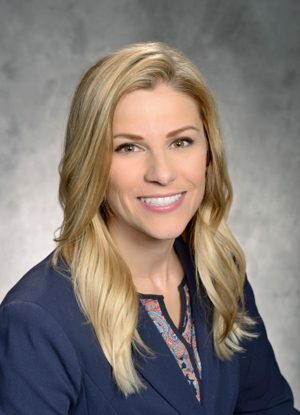 April 03, 2019 — PORTLAND, Ore.–(BUSINESS WIRE)–Standard Insurance Company (The Standard) announced today that Jill Frohardt has been promoted to second vice president of Individual Disability Insurance Sales. In this role, Frohardt oversees The Standard’s Individual Disability Insurance sales organization nationwide. Frohardt joined The Standard in 2014 as a regional director of Individual Disability Insurance sales. Prior to joining The Standard, she held various sales leadership roles at Mutual of Omaha. Frohardt earned a Bachelor of Arts degree in marketing from the University of Nebraska-Lincoln. The Standard is a family of companies dedicated to helping you achieve financial well-being and peace of mind. In business since 1906, we are a leading provider of financial protection products and services for employers and individuals. Our products include group and individual disability insurance, group life, dental and vision insurance, voluntary (employee-paid) benefits, absence management services, and retirement plans and annuities for employers and individuals. For more information about The Standard, visit www.standard.com or follow us on Facebook, Twitter or LinkedIn. The Standard is the marketing name for StanCorp Financial Group, Inc., and its subsidiaries: Standard Insurance Company, The Standard Life Insurance Company of New York, Standard Retirement Services, Inc., StanCorp Mortgage Investors, LLC, StanCorp Investment Advisers, Inc., StanCorp Real Estate, LLC, and StanCorp Equities, Inc.